The Top 30 wine list is based on ratings given by customers who have attended a ThirtyFifty wine tasting and rated the wines on a scale of 1-5, so wines featuring in the Top 30 represent our most popular wines. The ThirtyFifty Top30 is based on all ratings for the vintage. Wine must have at least 30 ratings before they appear in the list. 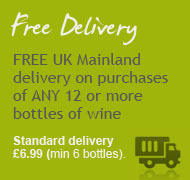 Wines under £10 are highlighted in bold. While an average ranking system is good, some wines can be great but only a few people enjoy them. If you would like us to help you select any wines specific to your tastes please give your Wine Consultant a call or call Chris direct.